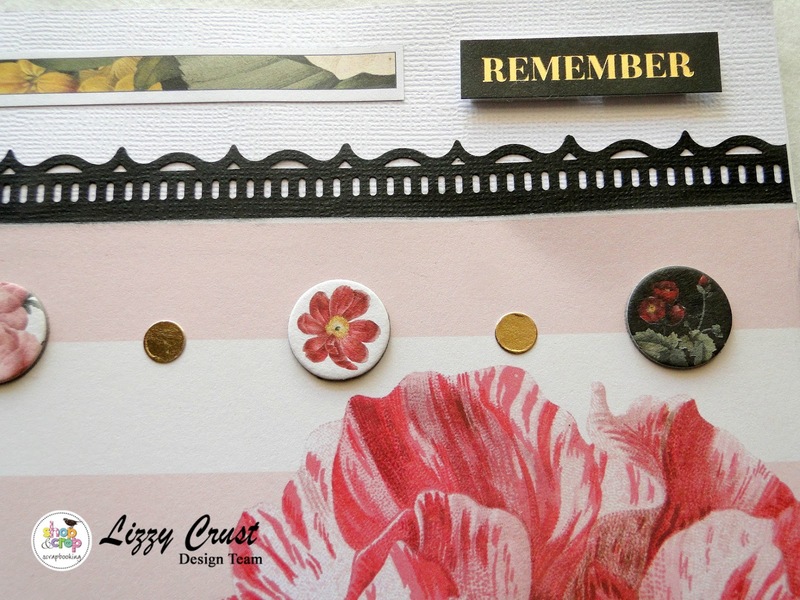 Shop and Crop: Bonus Layout - My Minds Eye Kit, and Dina Wakley Scribble Sticks. 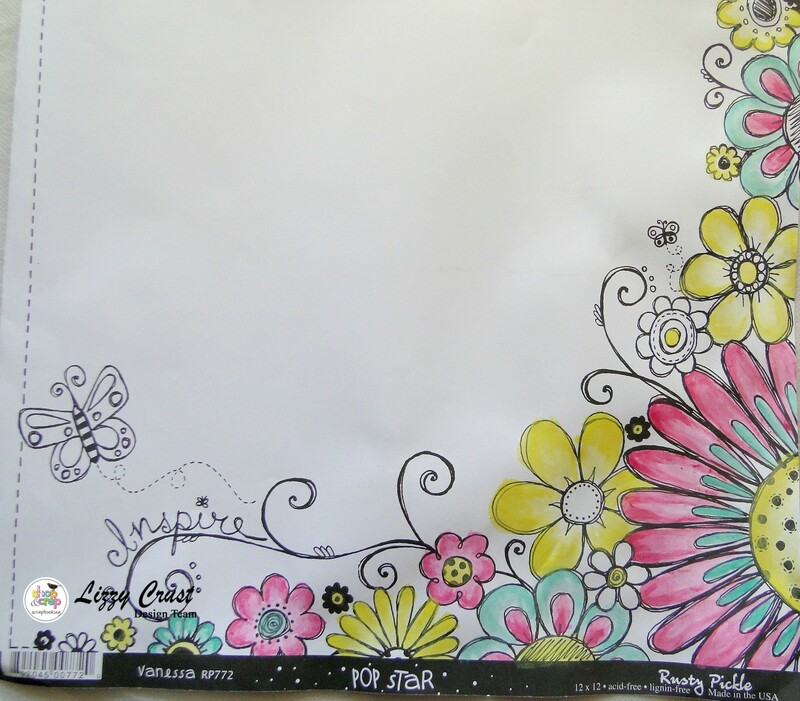 Bonus Layout - My Minds Eye Kit, and Dina Wakley Scribble Sticks. How is your day going? Right now as I am preparing this post it is cold outside... but hey great reason to stay inside and get some products and do some creating... And that is when the fabulous Kits from SHOP AND CROP SCRAPBOOKING come in so handy... It is all there ready for you to get creating!! In my last blog post which you can see HERE!!! 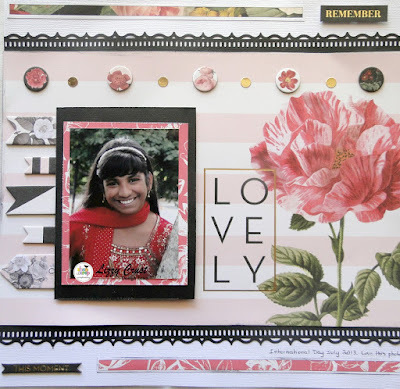 I shared two layouts created using the MY MIND EYE - In Bloom Kit which you can get at the Shop HERE!!! Well I have created another layout to share with you from the products still in the kit.. 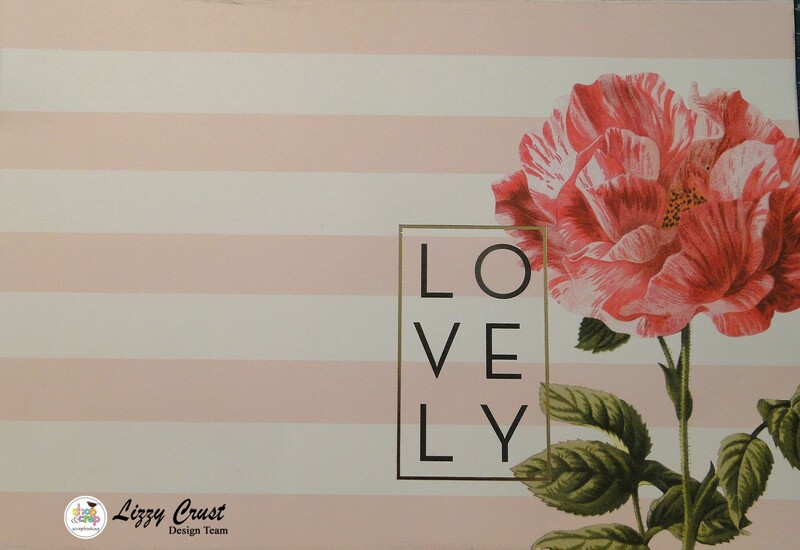 These kits have so much product that even though you get the instructions for 2 layouts there is still more creating to be done! So I would like to share the layout I created with you with some simple instructions for you to follow to use some of the remaining product after you create the first two layouts. Take the In Bloom paper #BKM004 and cut off the bottom identification strip. I always keep these strips. Measure paper 20.5cms from the bottom (to the pink stripe) on the paper and cut off the top. From the Kaisercraft Coconut CD101 cardstock cut 2 pieces of paper 5cms by 30cms. 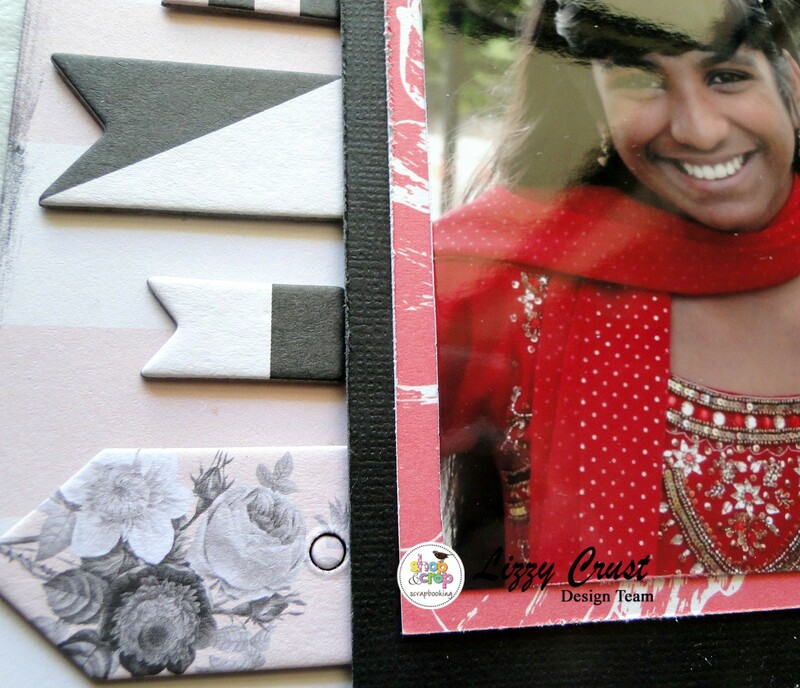 The two white cardstock pieces go top and bottom of the layout. 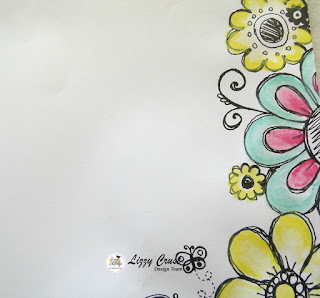 I then got a scrap page to use as a base (you wont see this) and laid the design down on this and adhered the papers down tucking the white cardstock under the floral paper. I then got the Kaisercraft cardstock Licorice CD102 and I used a paper punch to cut a decorative edge.. you can tear the paper or use decorative scissors if you dont have a punch to use. 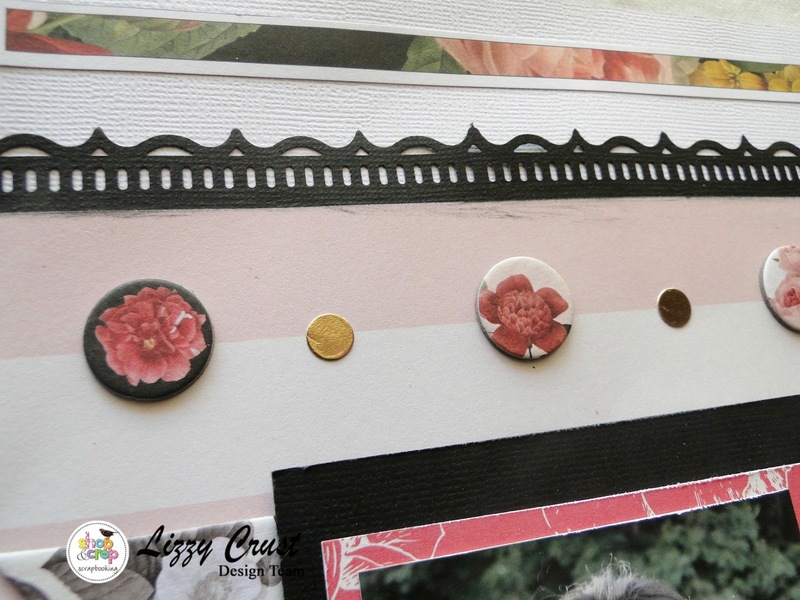 I then put these decorative edged papers either side of the rose paper.. #BLM004. This black edge just adds some pop to the layout. 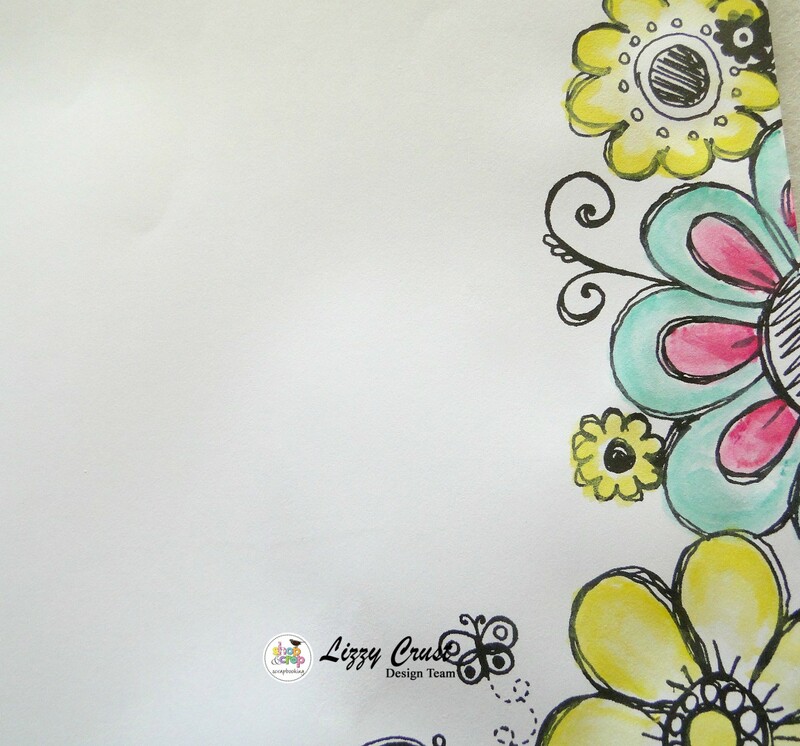 You could use some lace or washi tape from your own supplies if you like. I cut my 10cm by 15cm photo down a bit to 8cm by 11cm or you could even go smaller. 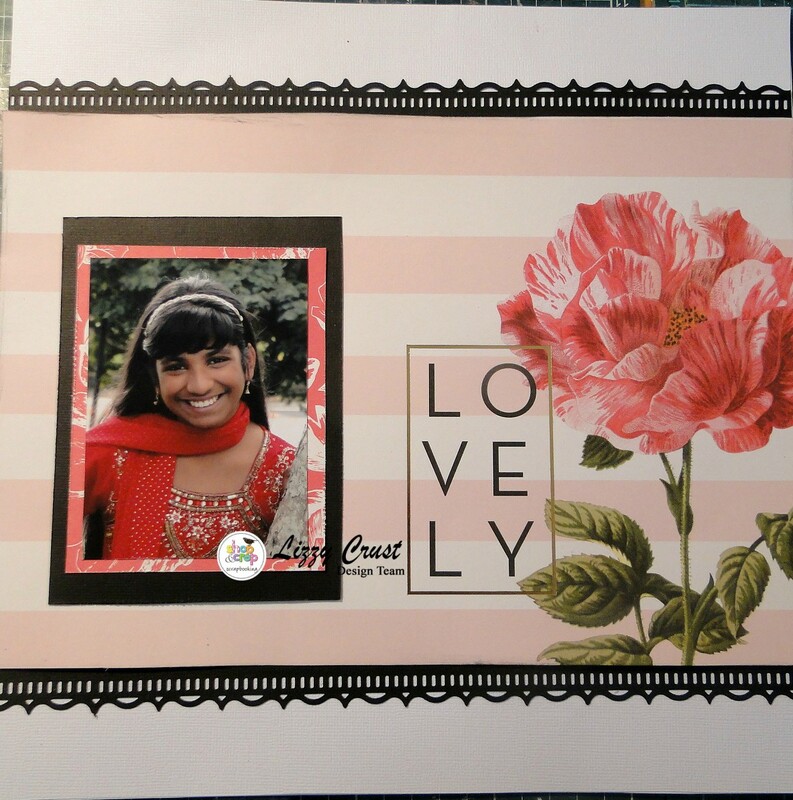 I matt the photo on the leftover piece of #BLM004 using the floral side. I then matt the photo again using the black cardstock.. Double Matting a photo really helps the photo to stand out on your layout.. This is what your layout should look like at this stage. I put some scrap cardboard under my photo to lift it up, foam tape would be suitable to use also. I put the strip from the bottom of the paper #BLM004 that we cut off at the beginning of the instructions and placed it on the right bottom corner of the page. I then got a chipboard sticker from the chipboard sticker pack "This Moment" and placed it down the bottom of the left hand side. I then used some stickers from the sticker sheet and some more chipboard stickers to embellish my page. I used another strip from a different page and stuck it up the top left hand of my page. This layout is simply designed and embellished as I feel if you have something big and bold on your paper like the rose for example, dont overcrowd the page but let it be a feature. You also dont have your photo trying to compete with it to stand out.. The paper feature and the photo should compliment and balance each other on the page. Some closer views of the finished layout. 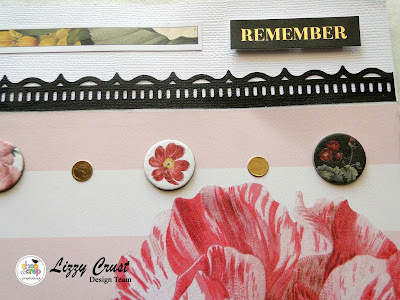 I love these gorgeous little floral chipboard embellishments, they add some dimension next to the gold stickers. I added a little bit of journalling on my layout to finish it off. Remember to check out this kit and all the others over at the SHOP AND CROP KIT SUBSCRIPTION SECTION OF THE SHOP..
A while ago I purchased some DONNA WAKLEY MEDIA SCRIBBLE STICKS from the shop..
Now let me say I am not very experienced with water colors as such but like many of us, I got these to try. Well I did try.. I had a play with them... 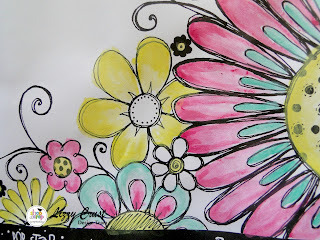 They are easy to hold and the colors are vibrant, I messed around to see how they go onto cardstock, no gesso just cardstock.. and this is what I did.. They blend with water easily. The blue color I drew on the paper and added water to see if I could draw the color along.. and the pink color I scribbled on some clear plastic and added water and make a liquid and patted the cardstock on the color.. this came out lovely.. and then I used a stamp and stamped it around my page.. you know.. just playing... which is what we should do when we get a new product... just have some creative free fun.. This is the dried page, they sure do keep the vibrancy of the color! 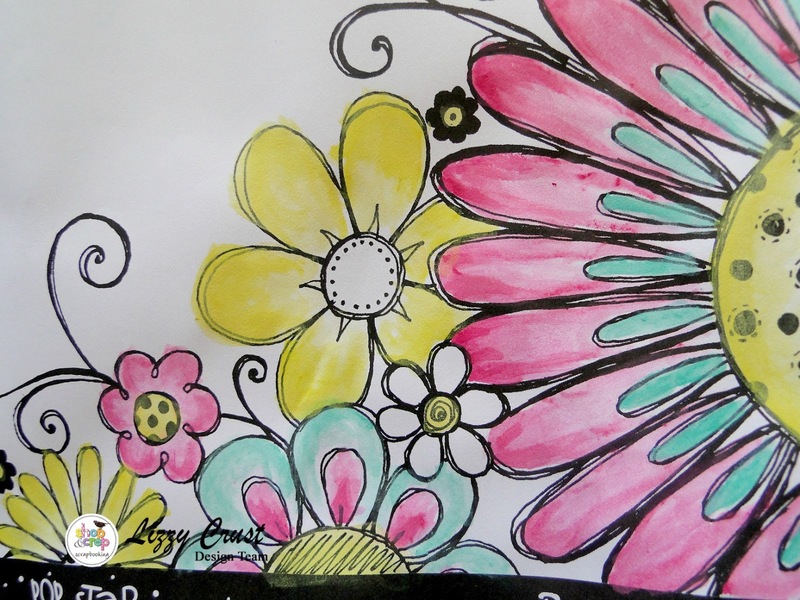 So again I confess I am still learning about water color products, but my goodness this was such fun.. I will definately have another play with this wonderful product, I hardly made a dent in the sticks, they will last a long time.. I love how pretty these colors are when dry and my only complaint is that I wish I had more shades to play with!!! 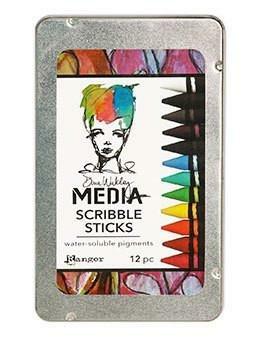 You can purchase your DINA WAKLEY MEDIA SCRIBBLE STICKS in the shop HERE!!! 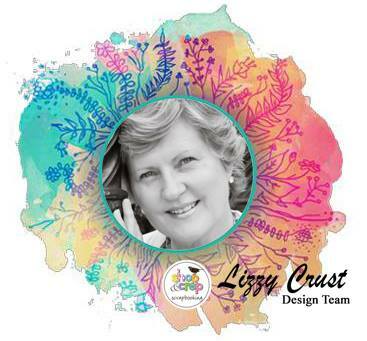 and remember to use this code LC5 to get a discount of your order..
Until next time.. get creating! Your work with scribble sticks is fabulous and the layout - just beautiful.